LoanStar is proud to showcase a growing set of leading financial technology and other partnerships that serve to make our products stronger and more robust. Our partners extend the reach of the LoanStar solutions into thousands of financial institutions and give our lender partners options for how they choose to deliver their point-of-sale solutions. MeridianLink provides a robust and reliable suite of innovative and adaptable web-based solutions that empowers financial institutions. MeridianLink continues to pioneer innovative and trusted technology that sets the industry standard in credit retrieval, credit reporting, lending decisions and automated account setup. With relentless innovation, robust security measures, constant safety monitoring and a team of dedicated account managers MeridianLink powers the back-end of banks and credit unions to make smart decisions based on accurate information. LoanStar has partnered with MeridianLink to integrate both our MerchantLinQ and HospitalLinQ platforms to the LoansPQ loan origination system to enable our lenders to extend their reach directly to the point of sale, when and where consumers need access to financial products. 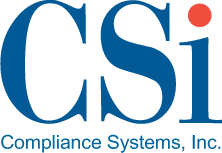 Compliance Systems, Inc., (CSi) is a highly respected provider of best-in-class financial transaction technology and expertise. The U.S. financial industry is one of the most regulated industries in the world, which exposes you to considerable risk and requires significant resources to compliantly document every financial transaction. We specialize in compliantly documenting your financial transactions while mitigating the risk surrounding transactions between you and your customers. When it’s all about the transaction, demand a partner who can deliver remarkable. CSi’s remarkable solutions are sought after for helping institutions like yours meet your demanding transaction needs for Deposit, Consumer (including Home Equity) and Commercial Lending, Mortgage Lending, Individual Retirement Accounts, and Health Savings Accounts lines of business. CSi has a reputation for delivering remarkable transactions and expertise instead of just docs. As your trusted partner we document your transactions compliantly, minimize the applicable enterprise-wide risks, and reduce your resource expenditures so that you can focus on your business and your bottom line. CSi is an independent, American-owned company. Credibility Capital is a digital platform sourcing, originating and servicing whole loans for banks. The company sources its borrowers through proprietary channels, including an exclusive partnership with Dun & Bradstreet. Credibility specializes in the prime SMB space originating A-paper loans for banks at rates starting at 8%. Loans of $10,000 to $350,000 are offered with terms of 1 to 3 years. The ConformX consumer solution provides the ability to streamline accurate document generation and offer new products more quickly from a truly dynamic document engine. Not only does the Docutech solution generate 100% accurate documents, it also has an embedded eDelivery and eSign platform , so your clients have a simpler document acknowledgement and signing process. The result is a quicker path as your client seeks to fulfill one of their life’s dreams. LoanStar has partnered with Docutech to integrate ConformX consumer loan documents with both our MerchantLinQ and HospitalLinQ platforms. This integration provides a custom lender branded document delivery and fully compliant eSign process on any device. Temenos helps customers in banking, capital markets/securities, and insurance achieve four business outcomes: develop relationships, drive innovation, improve operations and build connections. To do this, Temenos focuses on products and technologies, and works with leading solutions, services and hardware partners like LoanStar, on key areas where those partnerships can deliver exceptional value. LoanStar has partnered with Temenos to integrate the MerchantLinQ solution into the Temenos LOS Framework to help lenders of all sizes increase their consumer lending programs. All Temenos products can be deployed securely and rapidly in the Cloud, giving our customers an unparalleled opportunity to launch new innovative services cost-effectively. Sherman and Associates, Inc. is the acknowledged leader in loan quotation software, including all credit insurance and debt protection methods in use across the country. Sherman and Associates offers PC software, DLL’s, calculation engines, Internet solutions, and consulting for consumer loans, commercial loans, mortgage loans, student loans, payday loans, and APR calculations. Sherman software systems are invaluable in calculating and disclosing even the most complex loan structures, with or without credit insurance/debt protection, quickly, easily, and accurately. LoanStar has partnered with Sherman and Associates to ensure full APR calculation compliance today and in the future. Our lender partners can rest assured that all APR calculations delivered through the MerchantLinQ and HospitalLinQ solutions are correct and fully compliant. Financial Network, Inc. (FNI) provides customized loan origination software and credit origination services. FNI operates in a variety of industries, and have been powering the credit lending process for over 30 years. FNI offers a complete end-to-end credit origination and decisioning loan origination software for banks, credit unions, auto lenders, and other finance institutions. FNI utilizes its framework of proven credit origination components to create a unique lending platform for each of their customers. By utilizing a component-based architecture, the FNI team of experts can create Loan Origination Software that are as unique as your enterprise. The flexibility to be 10% or 100% of your lending process, has earned FNI the reputation of delivering better, faster credit decisions tailored to their customers. LoanStar has partnered with FNI to provide an new option for FNI customers to deploy the MerchantLinQ and HospitalLinQ solutions to drive more consumer loan originations, and to provide the LoanStar customers with integrated access to their unique modular suite of tools. Revolution Lending Solutions (RLS) is the go-to consulting firm to help lenders identify, evaluate and capitalize on growth and improvement opportunities within their competitive and constantly evolving marketplaces. RLS works with lenders across the country consulting and training them on various consumer lending and sales management topics. RLS offers a series of structured and customized solutions to effectively target and address the various requirements and needs of a compliant, effective and profitable consumer lending program. RLS’s expertise in establishing and managing large-scale, diversified direct and indirect lending programs has made them a highly sought resource for lenders looking to establish, grow and/or perfect their own lending programs. LoanStar has partnered with RLS to help our lenders to develop and implement appropriate products, policies and pricing schedules required in order to leverage the MerchantLinQ platform.